It’s the first week of March and the weather is already sunnier and warmer. Yay! It’s a rare alignment of dates and weather. Shouldn’t get too excited – it’ll probably be snowing by the end of the week. 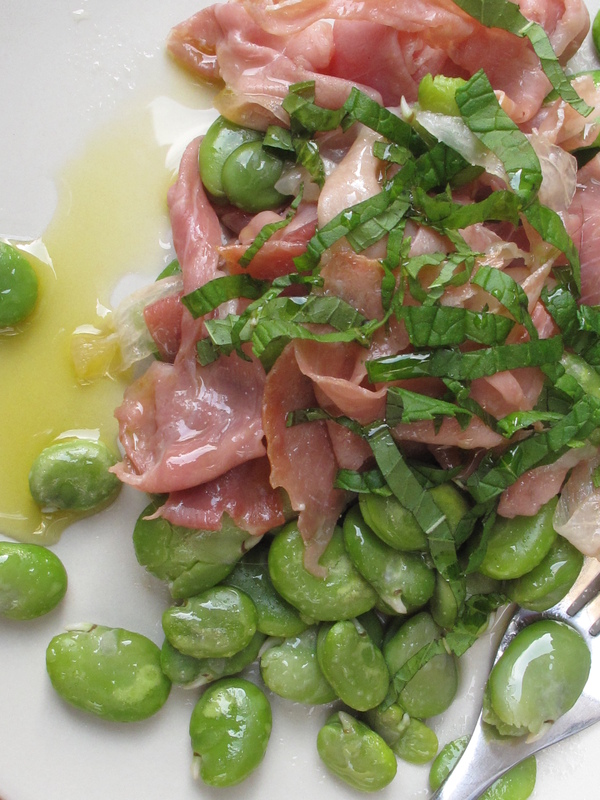 We have broad beans in this week, a preview of summer to come. You can of course steam then toss them with garlic and chili and stir through pasta for a super quick meal. Go one calorie- tastic step further and sauté them with pancetta and stir in cream, pasta and plenty of pasta for absolute heaven on a plate. As it’s nearly summer 😉 I made a salad with this week’s white cabbage. It’s a sort of coleslaw I suppose. I shredded the cabbage finely and mixed it with a few finely diced carrots – half and half roughly. Steam the beans and toast the same volume of pumpkin seeds. The dressing is yogurt based and instead of honey for sweetness I used maple syrup which makes a nice change. This quantity makes enough for 2 or 3 people to have as a side with say, fish or as part of a larger picky type meal. First of all make the dressing – whisk all the ingredients together. Check and correct the seasoning if necessary then set aside. Pod the beans then steam until tender. Allow to cool then pop each bean out of its pod. Toast the pumpkin seeds by placing with on a frying pan and toasting over a medium heat til they change colour. To put the salad together. Toss the cabbage and carrot into a serving bowl. 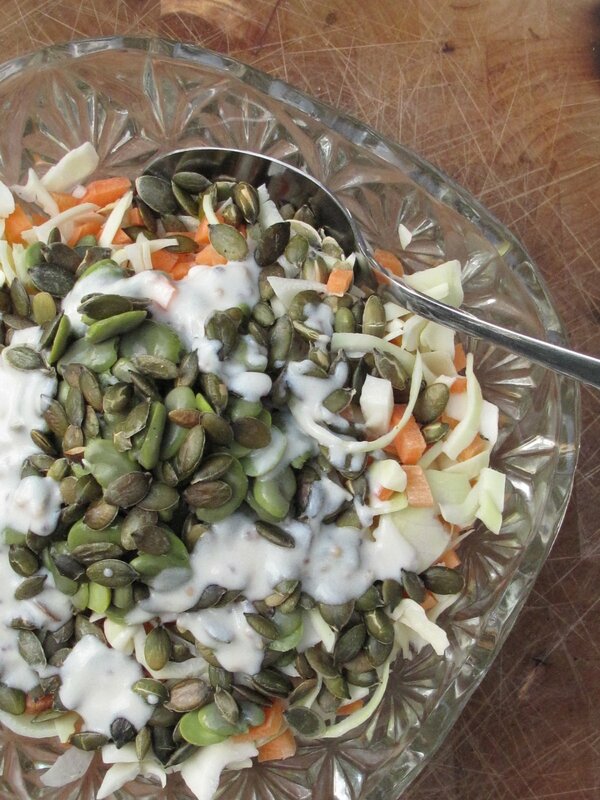 Top with the beans and pumpkin seeds. Drizzle with a little of the dressing and serve the rest on the side. It might be windy. It might even be rainy. But it is officially summer here in Dublin and salad is back on the menu at ours. Yay!!!! 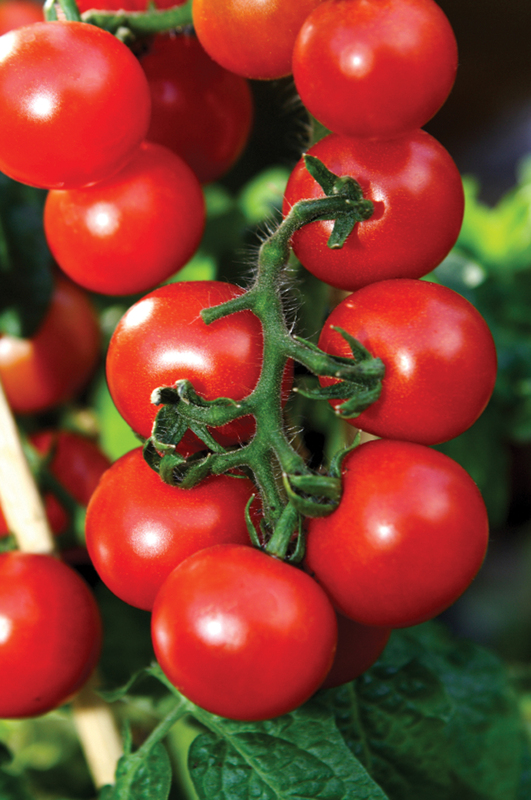 So, without further ado (it’s been a long day especially without Claire in the office and there’s a barbecue that’s just been lit calling me) here’s my suggestion for this week’s lovely broad beans, tomatoes and that gorgeous lettuce…. 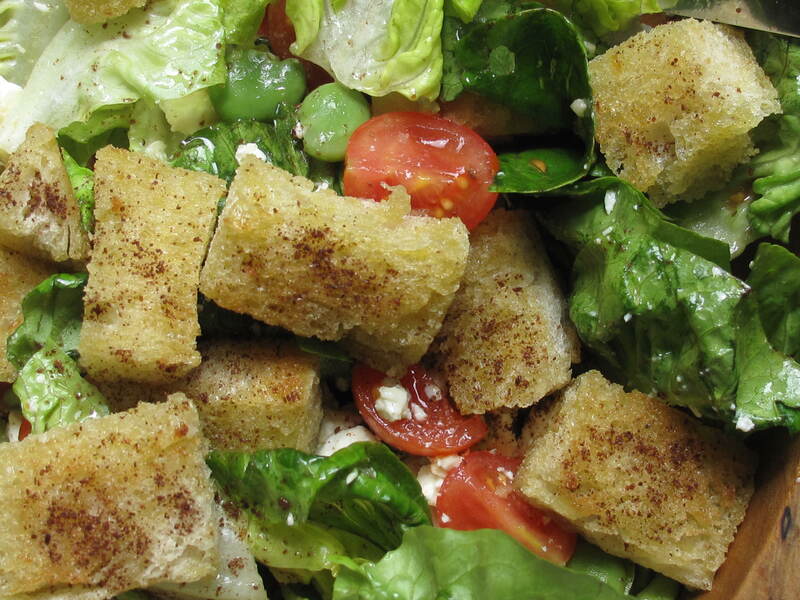 a salad with giant croutons. The croutons make it a bit more substantial than your average summer salad aswell as giving the whole thing a lot more chew which I really like. Now these aren’t those croutons you buy in bags with weird powder on them these guys are homemade and all the better for it. I made mine with stale ciabatta I stashed in the freezer a few weeks ago (I love it when a plan comes together!) and I laced them with sumac. Sumac, if you’re not familiar with it, is a dark red lemony spice found in middle Eastern cooking which you’ll find in good delis or middle Eastern shops. I also threw in some feta (predictable? moi?) . The dressing was pretty simple – lemon and olive oil with a splash of balsamic for richness but I also added some crushed garlic for bite. A chive and sour cream omelette on the side and that was lunch. Yum. Make the croutons first by cutting the bread into large chunks. Heat some olive oil on the pan and when it’s hot, add the bread and fry until golden adding a little more oil if things start to dry out too much. Take off the pan and drain on kitchen paper while you get everything else ready. Make the dressing by first smashing then finely chopping the garlic. Whisk it with oil, lemon juice, a pinch of sugar, a dash of balsamic and a pinch of crushed Maldon and set aside. Pod the beans then steam for about 3 minutes. Rinse under cold water then pop each one out of it’s skin. 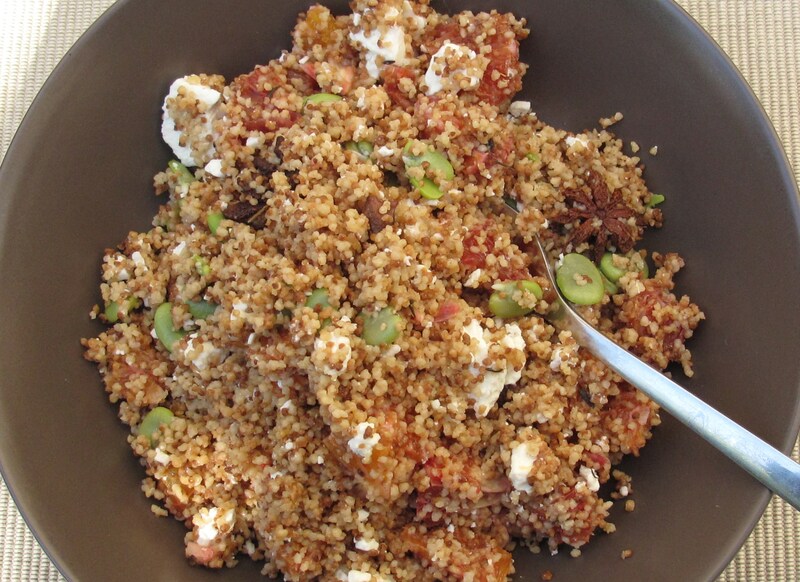 Toss the lettuce, beans, tomatoes and feta together with the dressing. Broad beans this week, one of my absolute favourite summer varieties. You don’t need to do much, ham in all its guises works wondefully as do things like feta and sundried tomatoes. If you haven’t cooked them before it’s easy – pod them then steam for a few minutes til tender, cool then pop each bean out of its skin. Choose from either of the two salads below and lunch is ready in, ooh, 5 minutes. Easy. Toss the beans in some olive oil in a hot wok or frying pan. Add the ham and toss. Remove from heat and garnish with some fresh mint. Serve warm with some crusty bread. Combine the beans with the salad leaves, cheese and tomatoes. Mix the dressing ingredients together, taste then add more vinegar or salt if it needs it. Dress the salad then serve. I have a houseful of family visiting from overseas this weekend so I’m going to make this quick. We’ve just had lunch in the garden (with wine so my spelling may be worse than usual!!) and I’ve sneaked upstairs to send this. I made a salad with this week’s gorgeous new potatoes from Marc Michel along with our broad beans and red onions. I dressed it in olive oil and sherry vinegar with a little honey and wholegrain mustard for good measure. 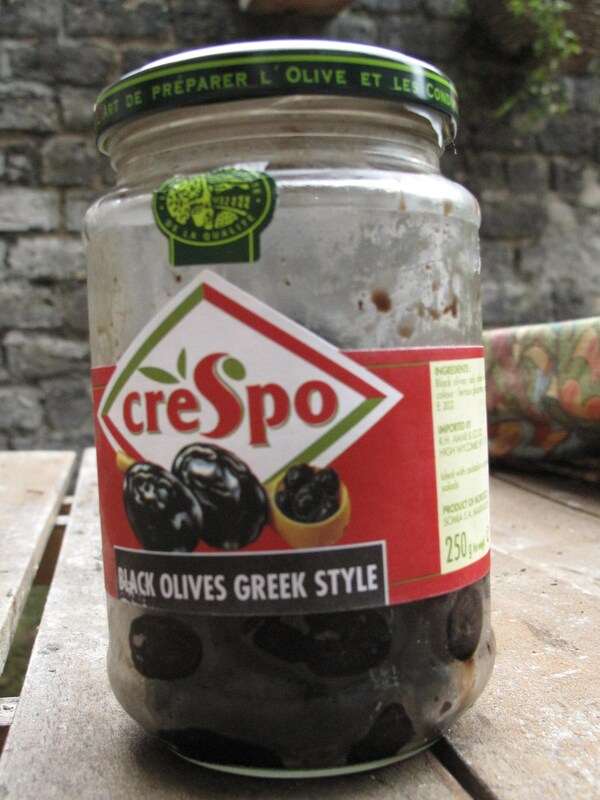 For a dose of salty intensity I threw in some of those wrinkly black olives which I stoned and tore before tossing in. We ate all this with some of our cherry vine tomatoes that I roasted over a low heat for about 6 hours. I just threw them in after breakfast with a little olive oil and salt. Normally I add a little sugar but they are so sweet at this time of year there’s really no need. Some baked feta, a plain green salad and crusty bread completed things. As did a bottle of chilled Albarino……..
Wash (they don’t need peeling just a scrub) and cook the potatoes. I put them in cold water which I bring to the boil then it normally takes 10 – 15 minutes after that. If you have different sizes drop the bigger ones in first, wait a few minutes then add the smaller ones. Prepare the broad beans by podding then steaming them for about 3 minutes. When they’re cooked, allow them to cool down a bit then pop each bean out of its skin and set aside. Make the dressing by whisking all the ingredients together. When the potatoes are ready put them in a bowl and roughly chop the larger ones so they are all bite sized. Throw in the beans, onions and olives. Add the dressing and toss everything together. 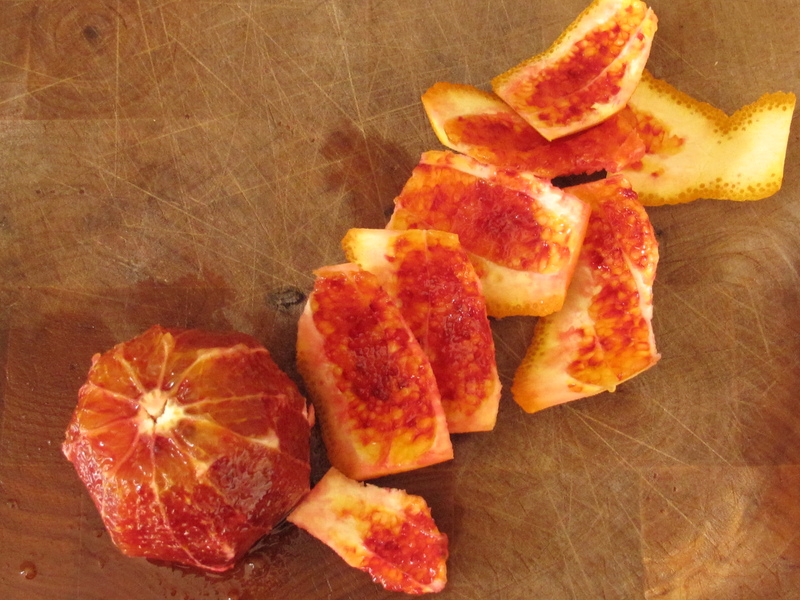 Taste then add a little more salt and/or vinegar if you think it needs it. Enjoy!!! Gotta go – they’re pouring more wine! !